Nintendo and its Wii U Nintendo Wii U Review and Giveaway Nintendo Wii U Review and Giveaway Despite the increasing shift to mobile gaming, consoles are still very popular devices for playing immersive, graphics-intensive games; and that won’t change anytime soon as long as the major console makers continue to improve with... Read More have had a rocky road thus far. The reason for its slow uptake among gamers is quite simple; the software is not enough to keep gamers interested. That’s finally starting to turn around as some exciting games have finally just hit the market, or are coming very soon. If you’ve been eyeballing that Wii U, but just have not found that it’s worth spending the money on, now might be the perfect time to head to your local game store and put one on your entertainment center. If you even have the most remote love of video games, there is no way not to be excited about this one. It looks absolutely marvelous in every way. It features cooperative gameplay with players taking the roles of Mario, Luigi, Princess Peach, and Toad. For old-school fans, this lineup should sound familiar, as it is the very same featured in the second Super Mario Brothers game. On top of what promises to be incredibly fun gameplay, the latest Mario game also features visuals that are absolutely stunning. Sure, the Wii U can’t compete with the Xbox One PS4 vs Xbox One: 5 Reasons To Buy The Xbox One PS4 vs Xbox One: 5 Reasons To Buy The Xbox One This year's E3 felt almost like it was over before it began. Though the conference lasts for days, both Microsoft and Sony made their announcements before the doors opened, showing not just hardware but also... Read More and PS4 PS4 vs Xbox One: 5 Reasons To Buy The PS4 PS4 vs Xbox One: 5 Reasons To Buy The PS4 E3 2013 marked the moment when the next-generation truly began, with all three contenders -- the PlayStation 4 (PS4), Xbox One, and Wii U -- revealed in full. 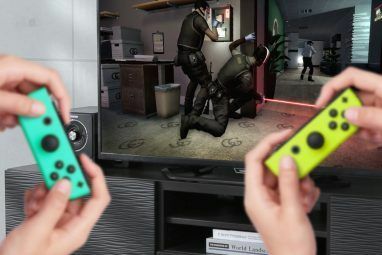 The Wii U is already on the... Read More from a pure hardware standpoint, but the designers at Nintendo look to be making the most of the power available, and this game promises to be an absolute joy to look at. Plus, there’s the cat suit, which sounds like it might be the greatest Mario powerup ever conceived. This game comes out at the end of November, so gamers don’t have long to wait! When we first covered upcoming Wii U games Wii U Games Worth Getting Excited About Wii U Games Worth Getting Excited About The Wii U just hit the market, and there's a good chance that if you didn't get one, you missed the boat. Supply shortages are commonplace with the launch of a new console. That being... Read More , we didn’t know much about Super Smash Brothers on the Wii U Wii Fit Trainer? Seriously? 4 Other Characters We Didn't Ask For In Smash Bros Wii Fit Trainer? Seriously? 4 Other Characters We Didn't Ask For In Smash Bros We didn't ask for this, Nintendo – and seriously, we asked for everyone else. Google Smash Bros wishlist sometime – we've thought of everything, but I'm pretty sure absolutely none of us asked for the... Read More other than the fact it was coming at some point. Now, we have plenty of information, and it’s only made gamers even more excited about the upcoming release. Of course, it will feature the same beloved fighting mechanics with some modern upgrades. All of the items we’ve grown to love will be included, along with some new additions that should make things a great deal more fun and exciting. The biggest piece of news is, in my opinion, is the announcement that Mega Man will be coming to the game. While Mega Man is not a Nintendo franchise, it got its start on the NES, and in the hearts of minds of most gamers, the Blue Bomber will always feel like he belongs with Nintendo. With that in mind, he’s an absolutely perfect fit for the game, and I cannot wait to play as him, and all the other awesome characters in SMB on both the Wii U and 3DS. Nintendo has not announced an official release date, but we do know it’s coming sometime in 2014.
Who doesn’t love Mario Kart 6 Video Games With Fantastic Local Multiplayer For Dorm Room Gaming 6 Video Games With Fantastic Local Multiplayer For Dorm Room Gaming There are still some titles that faithfully provide an excellent couch experience for multiple players. They either allows for up to four people to play at once, or provide an entertaining enough experience to keep... Read More ? Like Smash Brothers, it brings all of your favorite Nintendo characters together in a single experience. Instead of fighting, you are racing crazy cars around a track riddled with powerups and other entertaining nonsense. Whenever Nintendo releases a new Mario Kart I always think I am sick of the formula, but as soon as I pop it into my console I remember just how fun the game is. With Mario Kart 8 we get a hover kart mechanic, which should shake up the formula enough to make things more exciting. The bikes we saw in Mario Kart on the Wii are making a return in the Wii U version, and those were one of the most fun ways to race in the that game. Plenty of staple characters have been confirmed for the game’s Spring 2014 release, as it gets closer, hopefully Nintendo will announce some surprises (maybe Mega Man will find his way into the racer). Windwaker is one of the most contested entries in the Zelda series. Some gamers love it, some think the cute art style and boating is a pox on the Zelda name. I fall into the first camp, but I am happy to admit that the game was far from perfect. The rerelease of the game fixes many of the issues, and it should go a long way towards helping the nonbelievers see what makes it such a fantastic game. Besides taking the already beautiful game and making it HD, the remake also greatly streamlines the boating mechanic, which helps make the game flow quite a bit more smoothly. What was once a tedious task is now an absolute joy on the Wii U. 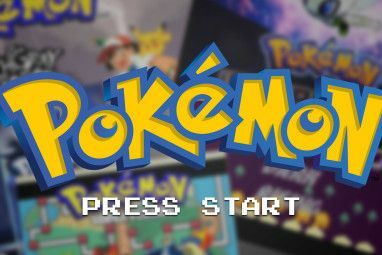 The classic remake is available now, and it’s a great option for anyone who loved the first game, or for anyone who never had the chance to experience it when it first came out. If you are having a hard time deciding if the Wii U is for you, maybe these games will put you over the edge. 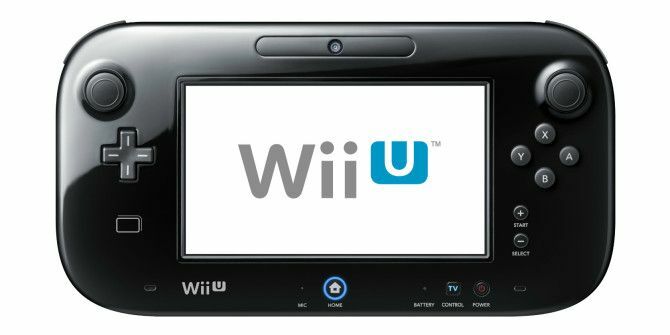 If spending $400 or $500 the other next gen consoles is not for you, perhaps the $300 price tag of the Wii U is a little more suitable to your needs. Do you have a Wii U? Do you use it as much as your other consoles? What games are you looking most forward to on the platform? Hit the comments section below and let us know! 1) Mario Kart needs to expand similar to Super Smash Brothers style and add characters from Zelda, Sonic, Star Fox, F-Zero, etc. 4) Awesome move to finally go HD!! Awesome move to renew Ocarina of Time!! Although it will likely never happen, I would love to see Mario/Zelda/Donkey Kong games on the other systems. 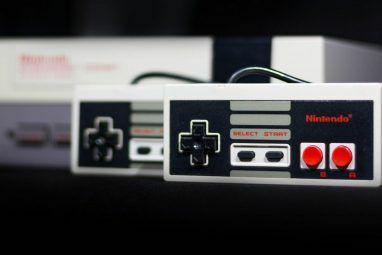 Because of all of the other great options and lack of 3rd party exclusives, for me at least, it gets more difficult to justify buying the Nintendo console each generation. FOUR title where his name include "mario"... HA - HA!! This is kinda the problem with the Wii U, isn't it? These are all Nintendo games and are all the latest iteration of established franchises. There are no games from other publishers or even new franchises on here. If they released these caliber of games at launch they wouldn't have such trouble selling consoles but instead they did the opposite and released mostly new IPs during the launch. You would think they learn by now. I have a wii u and theres a lot of games worth getting for it right now. Next year there will be even more lots more then ever. I looked back over their launch titles and their lineup ended up being as good as the ps4 and Xbox ones so i'm not to worried about nintendo their gonna do great this gen. I have a Wii U: I got excited about it the moment I heard about it, and largely for the reason that WiseIdiot is complaining about: new releases of all of the franchises I now and love. As a grown up father-of-4, I love getting to share the games I love with my kids (and friends once a week), so when I heard of new editions of the Rayman series (new fav since Rayman Origins came out), SMB, Smash Bros, Mario Kart, Zelda, etc. etc., I jumped right on board, and so far have not been disappointed. I'm also still holding out hope that Nintendo will release a new StarFox "episode" for the Wii U. And also, I think Nintendo could rake in cash if the new versions of Kart and Smash has all previous characters/levels available as DLC. I know I would get into that market. The thing about this is...none of these are new IPs. They're all continuations of already existing IPs, some of which...feel like they've been milked dry. Are we going to get some new costumes, playable characters, tracks, and pretty graphics to look at? Yeah, and that's nice, but I don't think it's something I will drop $300 for. Still haven't found enough games to make me want to buy a Wii U.